Because there’s no place like home. There’s no way around it. Our pets need veterinary care now and then, and some of them just plain don’t like going to the vet. Sometimes a friendly house call is just what the doctor ordered. Some situations are best handled and some services are best provided at home, where your pet feels, well — at home. There are times when it is just better to bring medical care and attention to your pet than to require a visit to our clinic. Your pet may simply do better in its own home where it’s more comfortable and less likely to become dangerously agitated or anxious. Or you may have more than one pet. Your mobility may be limited. Either situation could make it difficult or impossible to travel to our office or someone else’s. 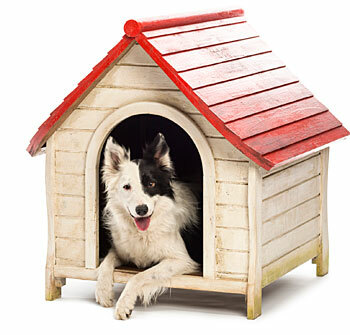 We offer convenient house-call services so you and your pet can remain where everyone is most relaxed and comfortable. Some of those services include wellness examinations, massage, therapeutic exercise, acupuncture and laser therapy. Certainly the most difficult, though important house call we make is when a beloved pet has reached the last days of life. Being at home, surrounded by familiar and loving faces with a trained professional helping to ease a sick, pained or aged pet, is an important aspect of our compassionate pet care. We focus on helping your pet live a full, comfortable life for as long as possible. When the time is right, Dr. Mandy DuBose will come to you. We know that’s unusual for pets like cats and dogs, but we don’t mind. It’s part of who we are.